Following weeks of planning (mostly me harassing people via Twitter), the London Vegan Potluck took place last night. It was a fabulous success. Held at the Ms. Cupcake store in Brixton, the potluck brought together vegans and non-vegans from all over London in a celebration of vegan food, vegan beer and fantastic people. Approximately 25 people gathered to try out dishes and drink beer kindly supplied by the good folk at Freedom Brewery. The evening was a true community event. Old friends caught up and new friendships were cemented. 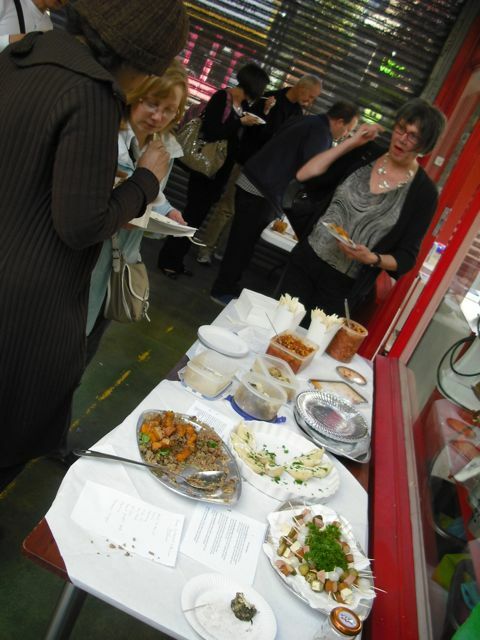 The selection of food on offer was wonderfully-diverse. Sweet cakes sat beside pasta specialties. Exotic salads jostled for attention with hearty stews. The choices were mind-boggling. As mentioned above, the drink of the evening was Freedom Pilsner. The brewery kindly got involved with our grassroots event by donating beer for attendees to enjoy. Everyone who consumed one of the beers had only extremely complimentary comments to make. It is refreshing, wonderfully-tasty and vegan. That makes a perfect beer, right? Much love to the brewery for their assistance. Not to be outdone by Freedom Brewery and potluck guests, Ms. Cupcake and her staff put on a fine show of tasty treats for everyone to sample. 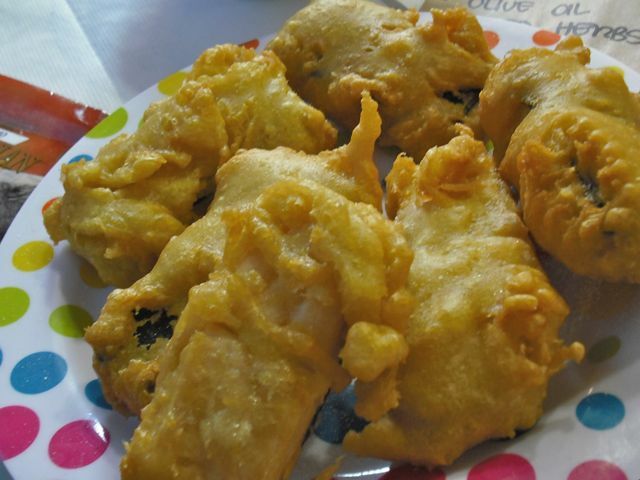 The highlight of their offerings was surely the vegan battered and fried fish. Oh my! These succulent and delicious pieces of pretend fish were snapped up just as quickly as they could be placed on the table. 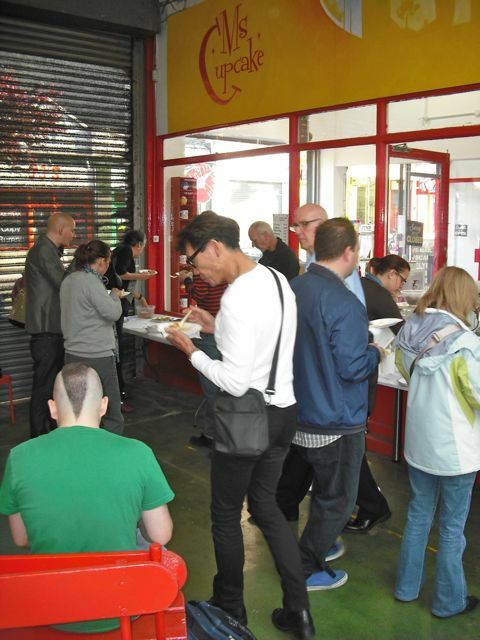 Potluckers were astounded at the quality and taste of the fishless delights. Whispering at the event suggested these golden wonders will soon make it onto the Ms. Cupcake menu (alongside chips) in the near future. My FGV fingers are firmly crossed. The food never ended. There was chilli, chickpea stew, cocktail finger food, stuffed pasta shells and so much more. 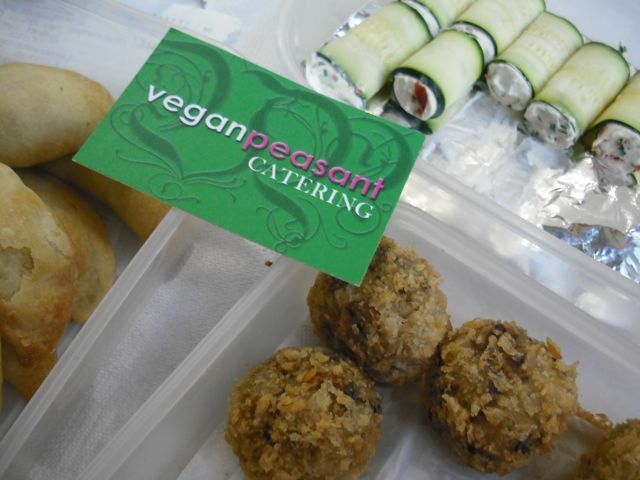 A special shout out must go to the wonderful folk of Veganpeasant Catering. Chef Adrian made a special trip to be with us and the food he prepared was out of this world. I was honored to try his mushroom arancini, empanadillas and zucchini cream cheese cannelloni canapes. Truly sensational vegan eating. What more can I say? 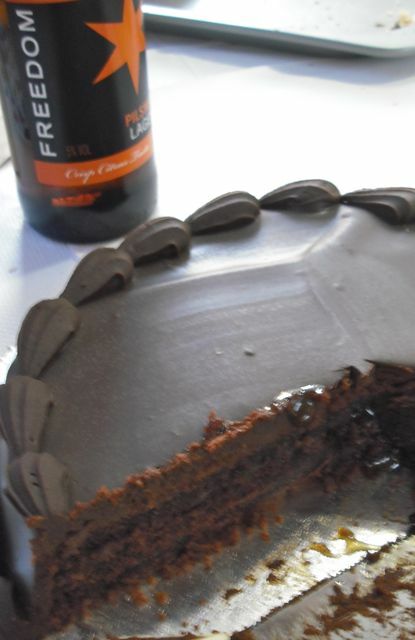 It was a stunning success made possible by the generosity of Freedom Brewery and Ms. Cupcake. Please take a moment to let these businesses know how much their commitment to the vegan community means to you. 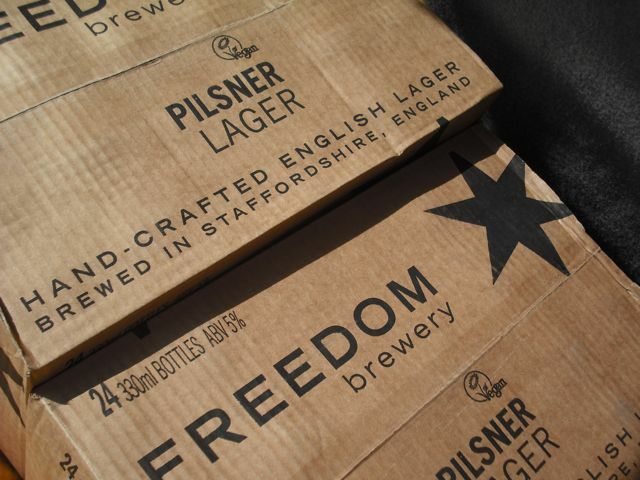 Write to Freedom Brewery here. Follow Ms. Cupcake on Twitter. Thank you finally to all of the wonderful potluckers who made this event so worthwhile. Same time next month? It was a great evening. Thank you for arranging it. We are looking forward to the next. Thank you for being there, Cliff. It was a wonderful evening, wasn’t it? See you next time. very yummy food ( both sweet and savoury). 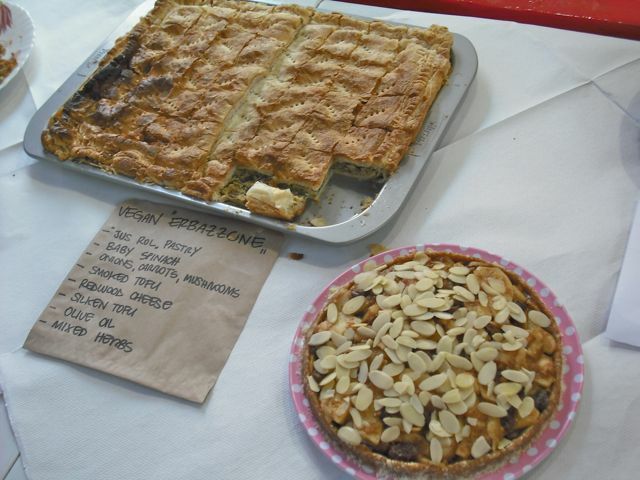 and thank-you to all those that came along and cooked such lovely vegan food. I hope this will be the start of many. The Ms. Cupcake food was excellent… as always! See you at the next one, Linda. I like how some of the dishes have ingredients listings next to them. Looks like it was a wonderful event. I think that helps people with allergies. 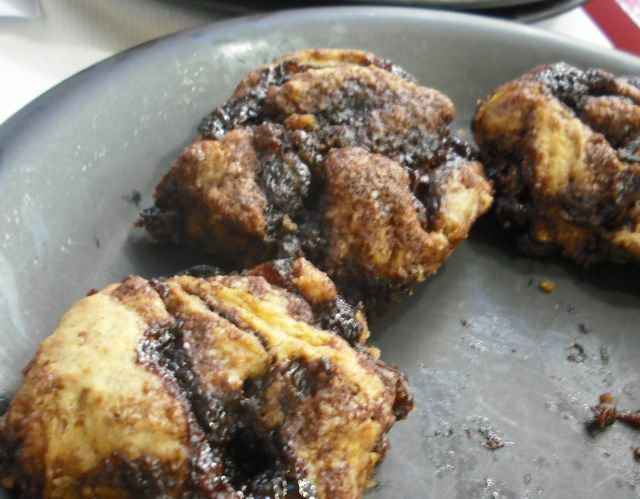 Some people even wrote out their recipes which was sweet! Guhhhh! Everything looks so tasty. I was a pescetarian for the majority of my life but became vegetarian over a year ago and became vegan this year and have been craving fried fish for months and months and I would kill (a human…) to get my hands on that non-fish fish! I really hope I can attend next time. Keep checking my blog Hatti and I will let you know when the next potluck is and also when Ms. Cupcake start selling the fish full time. Sean, thanks for the shout out. 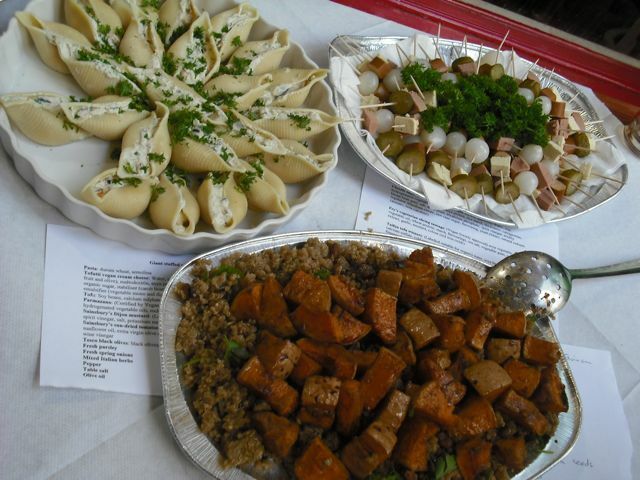 From all the photographs I can see that I definitely missed out on some delicious food. Look forward to meeting you next time. Cheers, Diana. Next month it is all happening again so hopefully we will see you there. The fish was incredible and I can’t wait for it to be a full time choice at Ms. Cupcake. Tibits serve Freedom on tap so you have an extra reason to go back there. 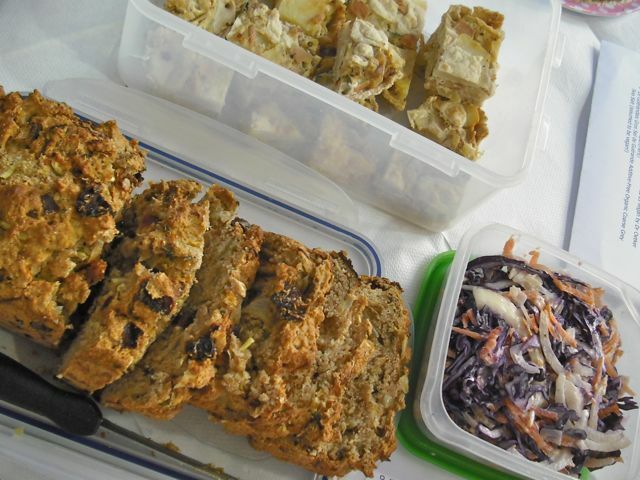 The next London Vegan Potluck has been announced. Hope to see all you excellent vegan cooks there again!